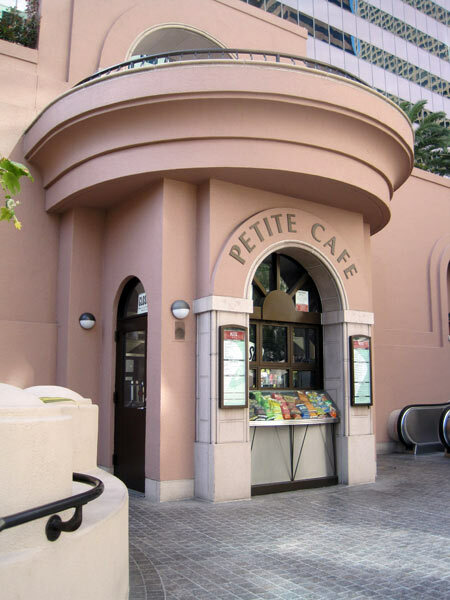 Completed in 1987 with architects I.M. 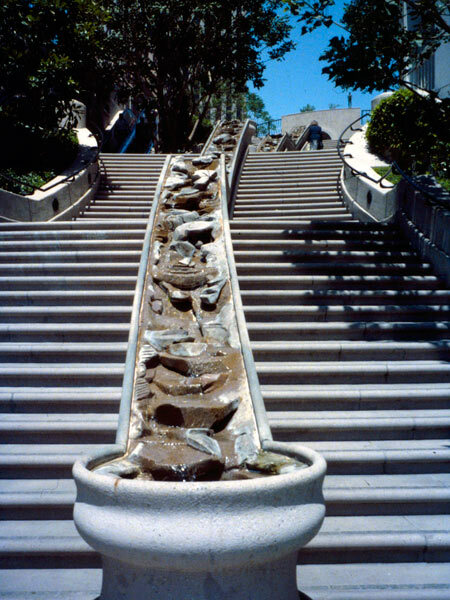 Pei & Partners and developer Robert Maguire, this grand stairway and water garden was designed by Halprin to link downtown Los Angeles to the newly developed Bunker Hill section of the city. 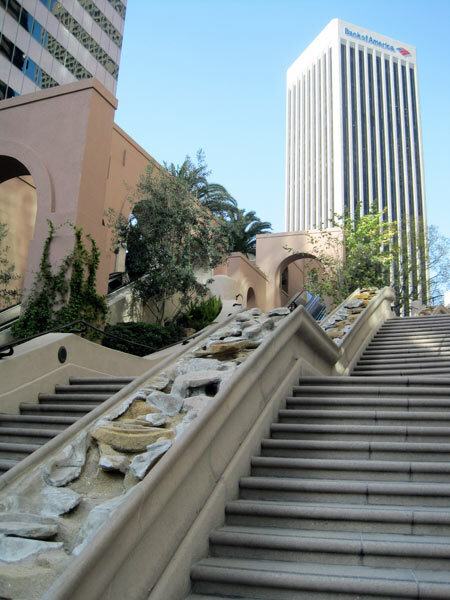 Postmodern in style and reminiscent of Rome’s Spanish Steps, the steps are choreographed as an urban experience similar to a city street, complete with terraced landings, retail shops, and outdoor cafes with a range of activities for relaxing, dining, or shopping. 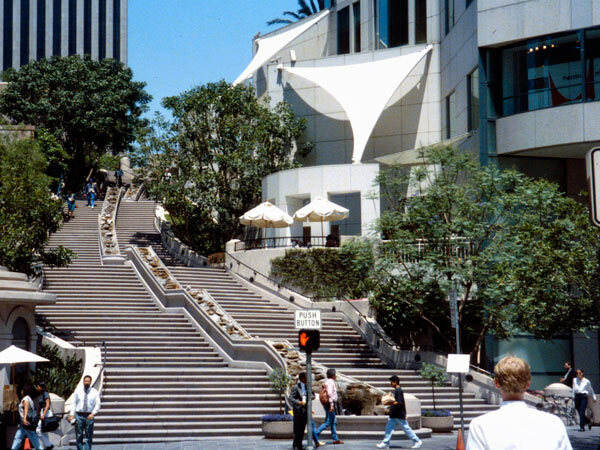 The terraces can be accessed by stairs or escalator. 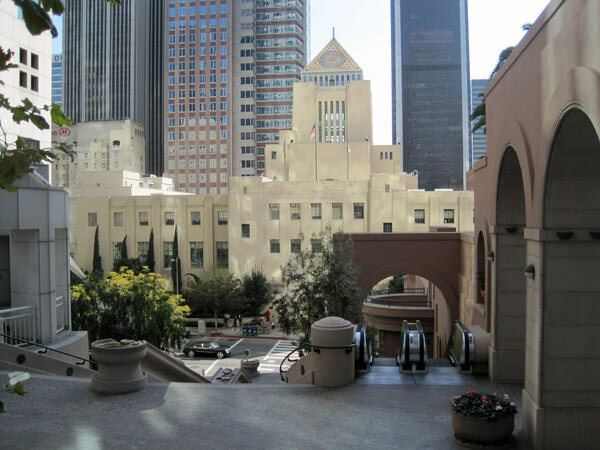 A “museum wall,” displaying sculptured grottoes and fountains, bounds the steps on one side while the other side curves around a seven-story building. 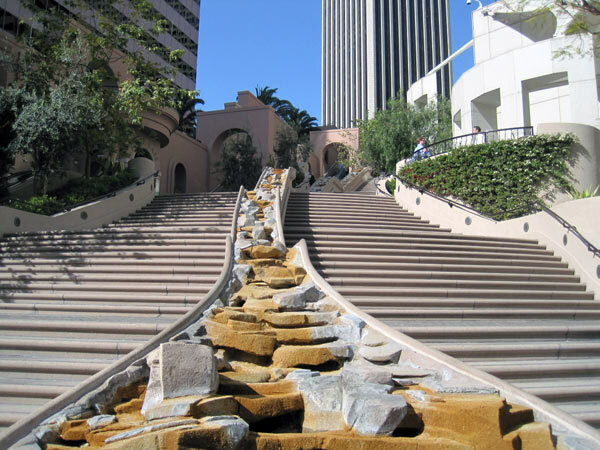 The staircases are bisected at the center by a raised, rocky ravine, with water cascading downward to a small basin at Fifth Street. 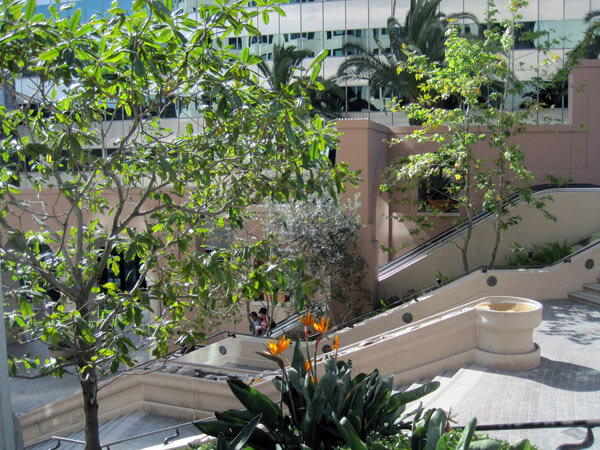 They are edged with flowering trees, shrubs, and perennial plants, which also serve to frame views and screen the escalators. 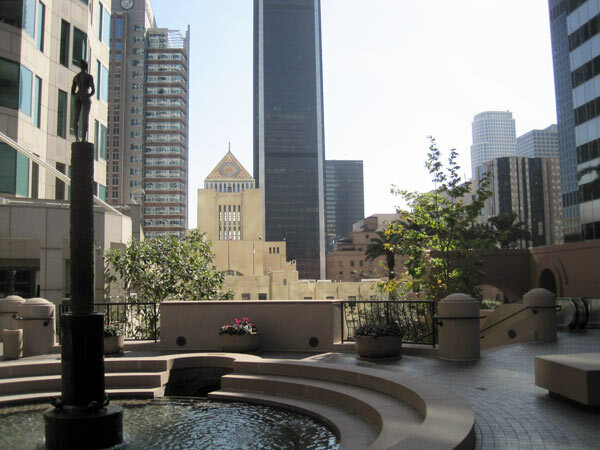 At the top of the steps at Hope Street near Hope Place is the bronze sculpture Source Figure by Robert Graham, which was added in 1992.